Shinzo Abe is heading towards a snap general election on October 22 as the Japanese prime minister moves to exploit a shambolic opposition and secure power beyond the 2020 Olympic Games. Analysts said the ruling Liberal Democratic Party was well-placed to win, but there were risks to calling an early vote based purely on the weakness of the opposition, with echoes of UK prime minister Theresa May’s electoral disaster earlier this year. Abe appears increasingly inclined to call an election amid a recovery in public support following a spate of scandals, public broadcaster NHK reported, without saying where it obtained the information. 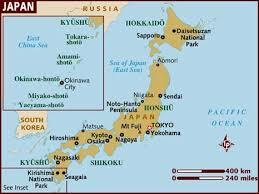 Japan has a democratic system of government as does the United States. The electoral system in Japan is different, however. In Japan, representatives are elected to the national parliament, the Diet. The Diet is divided into an upper house (the House of Councillors) and a lower house (the House of Representatives).